United Kingdom franchise advertisements frequently assume all their potential “partners” are morons. That Suzanne Goddard, a franchisee for Yogabellies, is shilling for her franchisor is a sure sign of a FranWhack to any of the jaded bastards in Austalia, the US or Canada. But still franchise salespeople continue to churn the business renters and pap. I never felt like I was fully committed to my job and definitely felt unbelievably guilty that I wasn’t being the parent I wanted to be. Until one day, after much soul searching, I decided there must be another way and I turned to the internet in search of something, anything, that I could do from home, working more flexibly. It was at this point I stumbled across a franchised network called Yogabellies, which was offering teacher training in peri-natal yoga classes, baby massage and birth education. A few phone calls later, I was satisfied that a franchise was the way to go. I was a little apprehensive about investing the required funds towards training and setting up my business. However, Yogabellies’s approach allowed me to set up affordable payment plans towards the training, as well as being able to start with one course or qualification at a time. It also allowed me to train while still working full-time, paying for my training before I left employment. 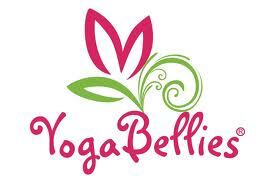 Peri-natal yoga classes as a profitable franchise concept over a 10 to 20 year timeframe?